The Speckled Sparrow: Happy New Catalogue Day! It is New Catalogue Day! Woohoo! 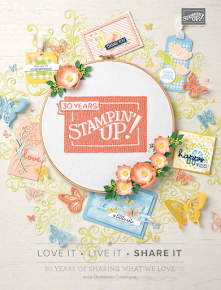 The BRAND NEW Stampin' Up! 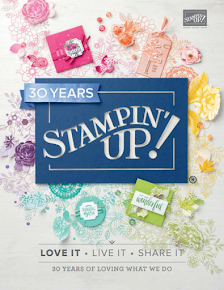 2014 - 2015 Annual Catalogue releases today & it's packed full of more than 240 pages of creative project ideas, inspiration and amazing new products. There will definitely be something in there you will love. It's a very exciting day! I have just uploaded the digital version to my side bar. 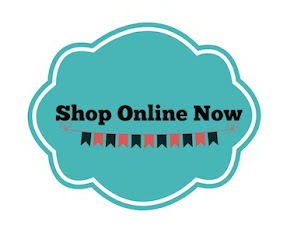 So click away & drool over all the goodies. If you would like your own catalogue I am awaiting a shipment & it's due to arrive any day. Email me to request your own copy or come along and celebrate the New Catalogue with me at my launch party Sunday, July 13th! If you would like to order your own copy in the online store you can have it delivered directly to your door - just click on the link below.